"Our dear one, God created us in order to offer you support in everything you established to do during your Earthly Life. You are never alone because we are always with you; we are your invisible friends who help you in everything you might need and we guide you to reach the true good in your life! Please ask for our help anytime you think you have a problem. If you don't ask for our help, we don't have the right to interfere over your Will. We respect your right to refuse our help. When you are happy, we are happy. Because seeing you happy is the reason we were created for. Namaste"
Alongside our physical world there are also other realms. And all these realms were created by God. I will talk to you about Divinity, about God, to know Who created you. Come closer to your God to receive love, light and protection! We will see that there are few ways to perceive subtle realms. Each individual has divine gifts; and here I refer to the "sixth sense" or the "Four Clairs": claircognizance, clairvoyance, clairaudition and clairsentience. Their manifestation helps you to stay in contact with the other kingdoms. Of course I will introduce you the subtle entities with whom you may communicate; the dialogue comes from both sides. 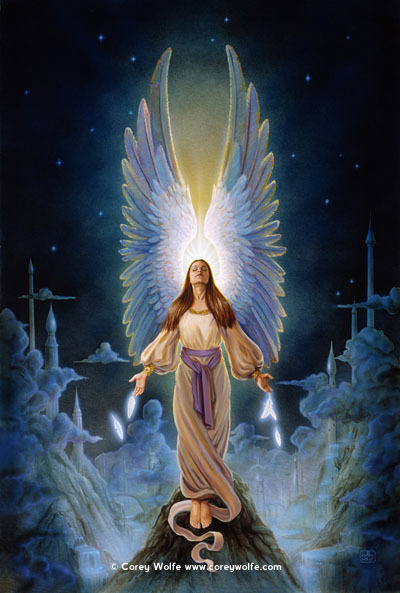 I will write to you about guardian angels, angelic choirs, ascended masters, nature spirits, about the loved deceased ones, to have a general view of how complex these worlds may be. These entities perceive us naturally but we cannot "see", "hear" or "sense" them without having at least one "Clair" open. I will also pass to you few basic communication rules with these entities, to avoid failures because of lack of information in this respect. The "chakras" are energetically preparing your body, mind and spirit to connect to the Mother Earth and to the Universe's powerful energies. You need harmony between the famous three units which have to work as One. The "inner child" is your energetic emotional sensitive being which may block or open your path to Divinity. You need perfect harmony in your relation with yourself; you and your inner child must be as one - to have the same feelings, to talk with one voice. We shall make together a Soul journey which may help you to understand how your earthly life is integrated in something more complex and more continuous than you thought. Your present actions have a powerful impact over your past and your future, behind our familiar time and space limits. 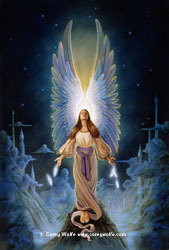 I will depict the 15 Archangels to help you have an idea about how they work with you. 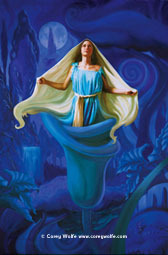 They can make you ready at a deep subtle level for a harmonious spiritual development. These lovely Archangels are ready to be your friends along your path. During our journey together, I will share with you some of my divine experiences, to show you that nothing is impossible and that you don't have to be a "special" one for getting closer to God. You just need to trust yourself, your guides and God. You already are a Perfect Child of your Creator. I kindly recommend you to follow your divine guidance and to take a deep research on all aspects which you might find interesting on these posted materials. Searching for your Truth is the Beginning of the Divine Guidance. May God Be with you on this journey! © 2019 angelicsign.com. Terms & conditions.